Continuing our pumpkin craze. 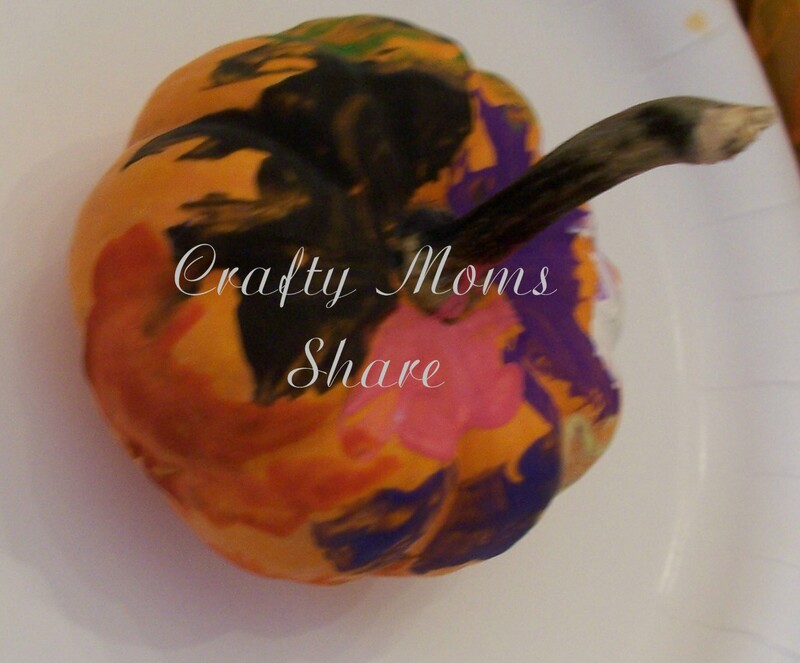 Yesterday I shared with you our pumpkin muffins and some easy pumpkin crafts. 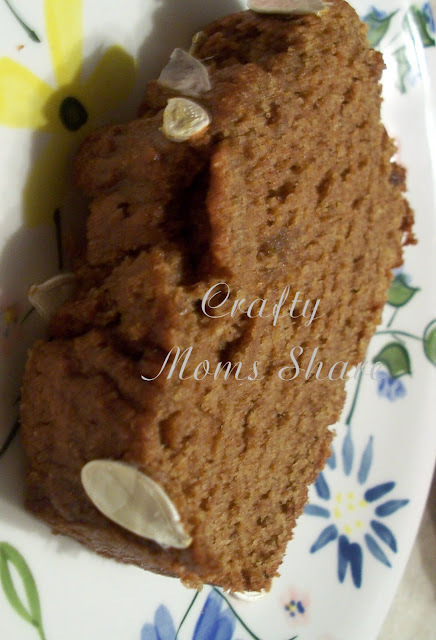 Today it is pumpkin bread and some more pumpkin crafts and lessons. So I have to admit Hazel and I have become a bit addicted to Starbucks' pumpkin bread this fall. It is so good. However one slice is equal to 11 Weight Watcher Points Plus. Ugh!! Plus at $2.25 a slice it is starting to add up. So we made some pumpkin bread of our own today. We started with this recipe on Food.com. My only changes were using all whole wheat flour, I used canola oil, and we only had one teaspoon of nutmeg and we were short on the ground cloves as well. This recipe how I prepared it is only about 8 Weight Watchers Point Plus per slice (assuming 8 slices per loaf). We gave one loaf to our friends at church. Steve is not a big fan of pumpkin, however Hazel and I love it. I figured having two loaves may be too much though for just the two of us. So we gave it to our friends who always give Hazel wonderful gifts. 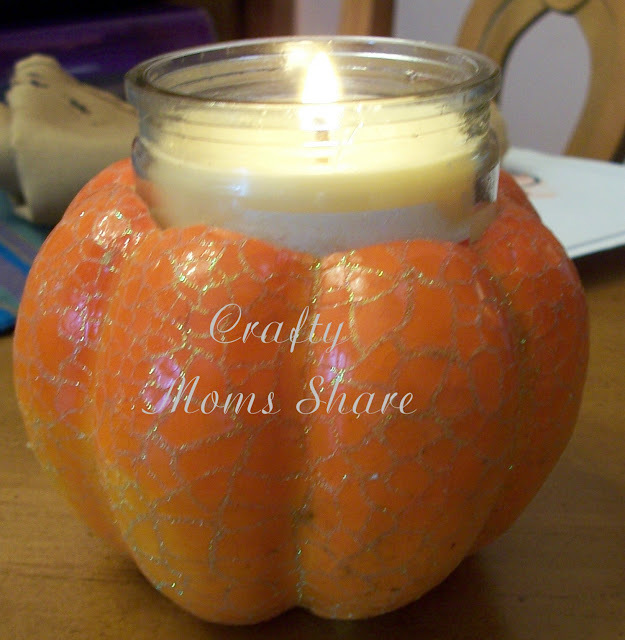 Ok, I've been seeing candles inside small pumpkins all over the place. I decided to try one. I used a small foam pumpkin so it wouldn't rot and a candle in glass to prevent fire accidents. I actually had Steve cut the hole for me the other day and then I made it bigger so the candle fit in better. Here is a craft I saw last year and wanted to do, but somehow we never found the time. I saw it at All Kids Network. I used their template and cut out two pumpkins from orange construction paper and then gave one to Hazel to glue seeds and pieces of yarn to be the inside of the pumpkin. 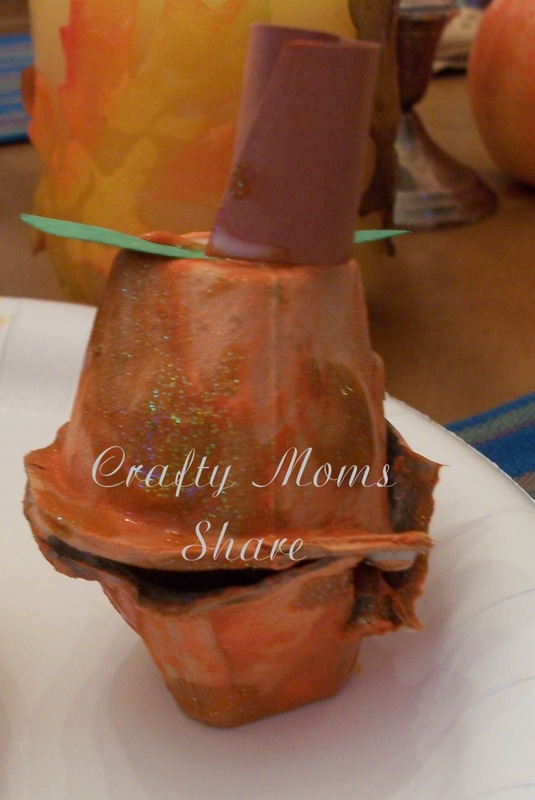 Then I glued the stem and leaf (out of construction paper as well) onto the other pumpkin and glued it on top. I wrote on it, "What's inside?" I had hoped to do this before carving a pumpkin last year so Hazel would know what to expect. Oh, well. 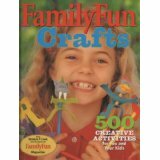 This last pumpkin craft I found in Family Fun Crafts by Deanna F. Cook, which I picked up at our used book store (and by mistake bought two copies of it so I gave one to our local library). It is made out of an egg carton. Somehow theirs looked much cuter and fit together better. Oh, well. We had fun. This ends our pumpkin craze for now. What have you been up to this fall? 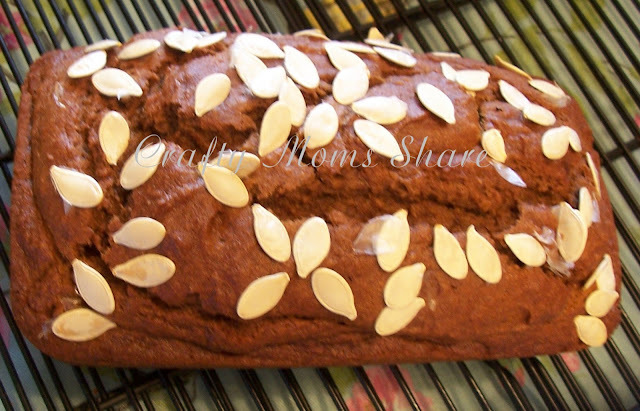 Great pumpkin inspired baking and crafts :-) I love pumpkin scones! 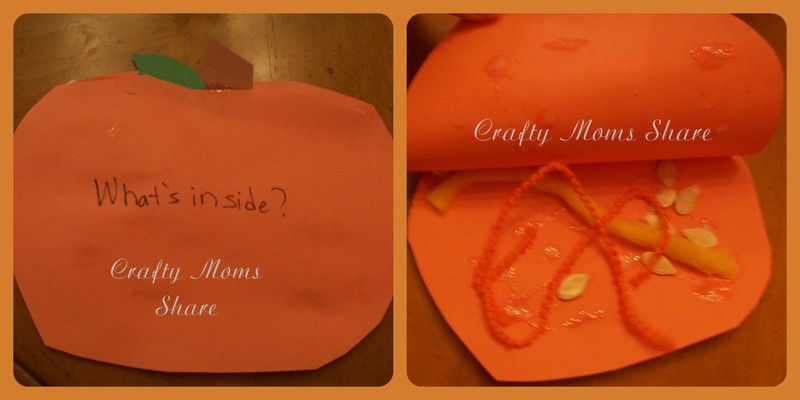 Oh I LOVE that whats inside pumpkin craft!! I will definitely be doing that with my kids over our fall break! Thanks for the inspiration!! I love your "what's inside idea". Mmmmm that pumpkin bread looks so yummy! It looks like you've been having a lot of fun with pumpkins. Thank you for linking up to The Sunday Showcase.